AllegroMedical.com presents The Comfort Audio Contego FM HD Communication System Sound Kit. 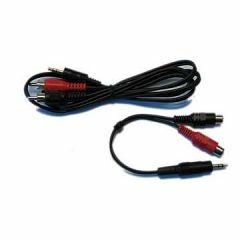 With this sound kit, you can link your Contego to the TV, a sound system, telephone and other sound sources. Comfort Contego is a digital, secure FM HD communication system for hearing aid users with a t-coil or users with hearing loss using a headset. It uses coded radio transmission that makes it virtually impossible to intercept a conversation. The wireless feature makes it a practical solution for work, school, restaurants and other noisy environments, and for TV/sound systems.